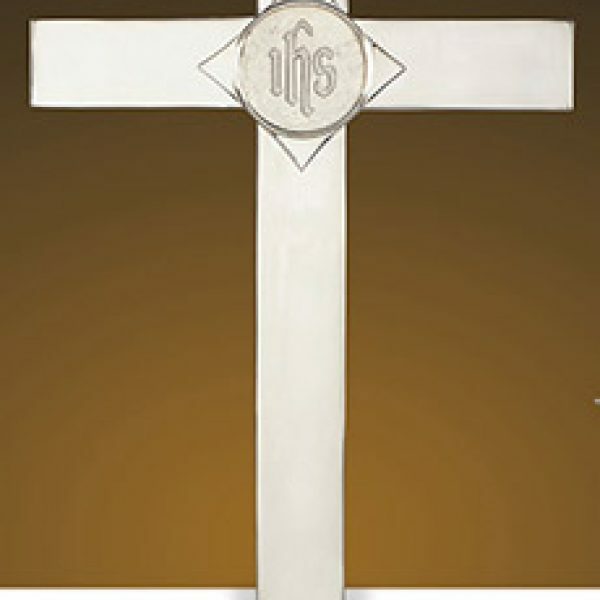 The sophisticated Budded Cross Altar Vases are neither plain nor ornate. 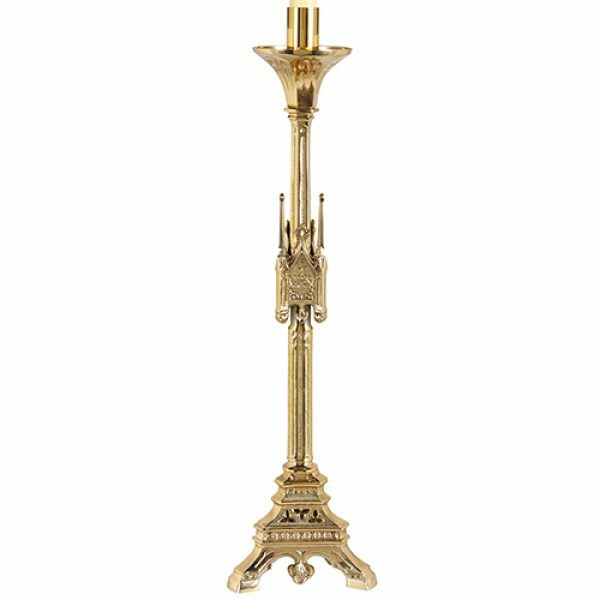 Beautiful in its simplicity, highly polished solid brass pieces rest upon Sudbury Brass™’s distinctive Calvary square base. Includes 2 vases. Liners are included. 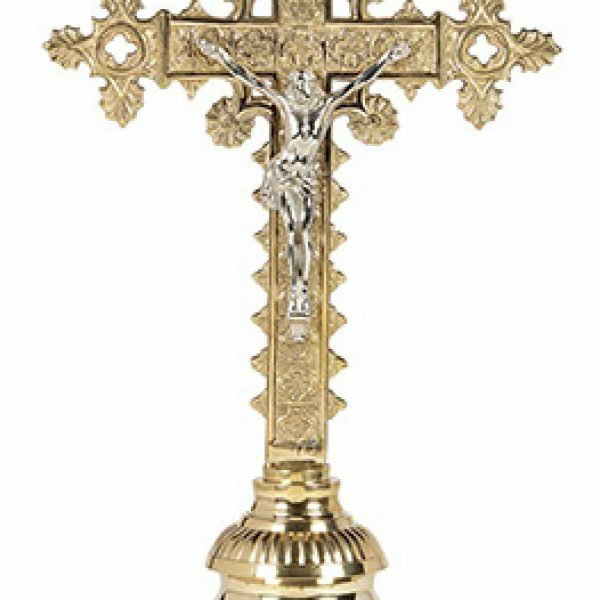 Also available as a set that includes altar cross, vases and candlesticks (#CBCS_SB770-30SET). Flowers not included.